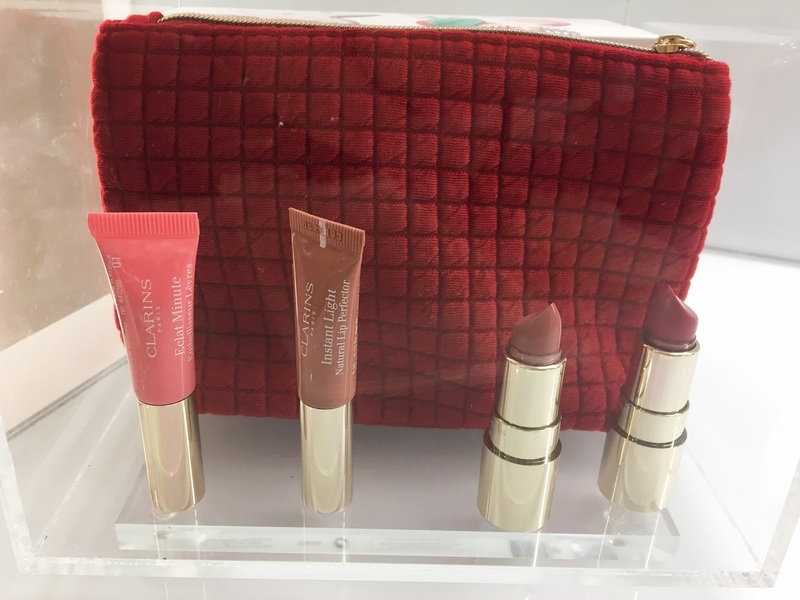 Thanks to the lovely Antonia, I had the chance to pop my Clarins cherry a few weeks ago. 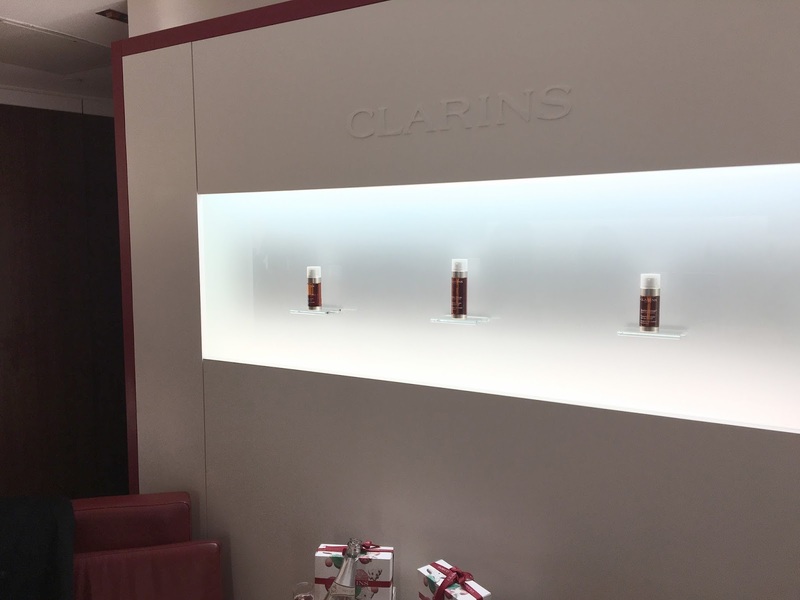 That's right - I'd hardly even really heard about Clarins before then. Shame! 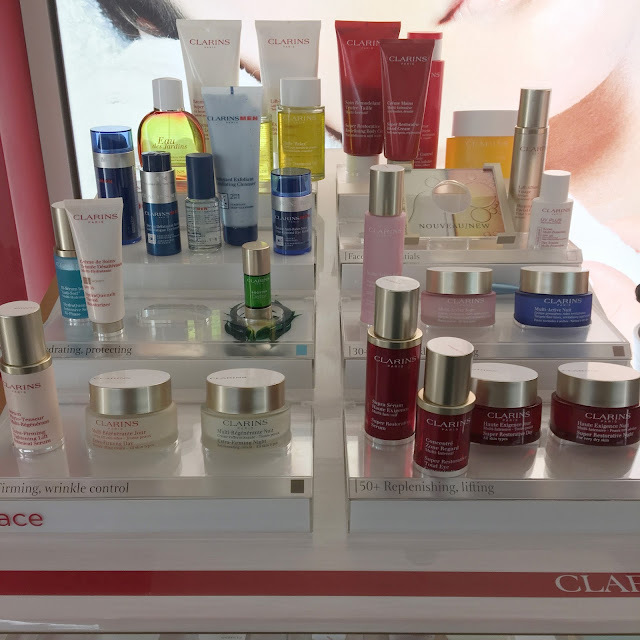 After meeting a few other lucky bloggers, we found our way up to Clarins Skin Spa. Nestled on the third floor, in the children's section, you'd honestly never even know it was there. I was shocked to learn it had been there since Liverpool One opened! We arrived as the spa closed, and we were all greeted with a glass of fizz (which I obviously knocked all over the floor - sorry!). One thing that really struck me about the Spa was how clean it was. 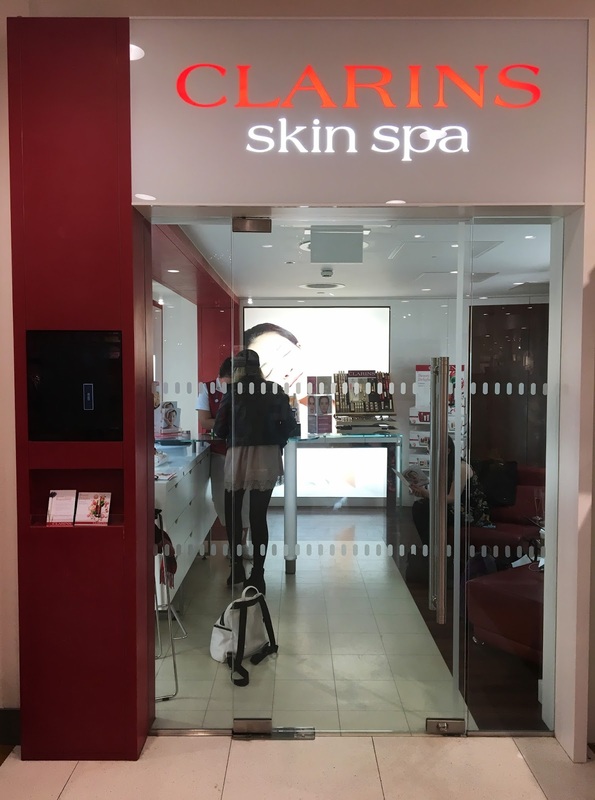 I know this probably sounds ridiculous, because no-one wants to walk into a dirty spa, but it was so lovely and crisp, it felt almost like a laboratory. Like the therapists are the scientists tasked with getting your skin to look and feel as fabulous as it possibly can. Being completely new to Clarins, I had absolutely no idea they had a make-up range, let alone that their ingredients are largely plant based. 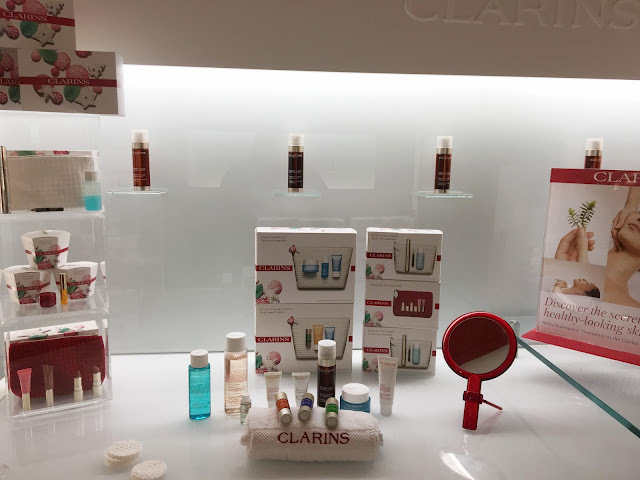 After a quick catch up, and an introduction to some of the new product launches and Christmas gift sets, I was whisked away for my taster session of the Tri-Active facial. I got myself all comfortable on the heated bed, lay back and braced myself for what was to come. I'd never had a proper facial before, so I was fairly apprehensive. My therapist, Sam, was completely fab. She made sure I was comfortable before she started asking questions about my current routine, what I use and how my skin feels on most days. Since I've hit 25 and started some new medication, my skin type has completely changed. I used to have really oily skin, but now it is as dry as a bone, even more so now in the harsh winter weather. She was happy to talk me through exactly what she was doing, and what products she was using. Sam went with the moisturising treatment and got to work on applying all the magical serums. She gave me a much-needed neck and shoulder massage too - absolute heaven! 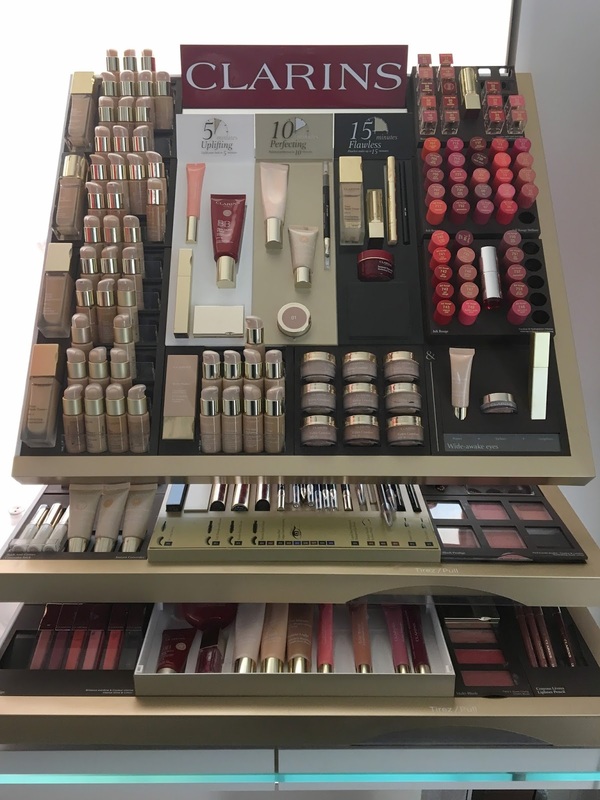 The beauty of the Tri-Active Facial is that it's completely unique to you and your skin type. No two people are the same, so no treatment should be the same, should it? I practically floated out of the treatment room when she had finished, not even taking the time to put my boots back on! 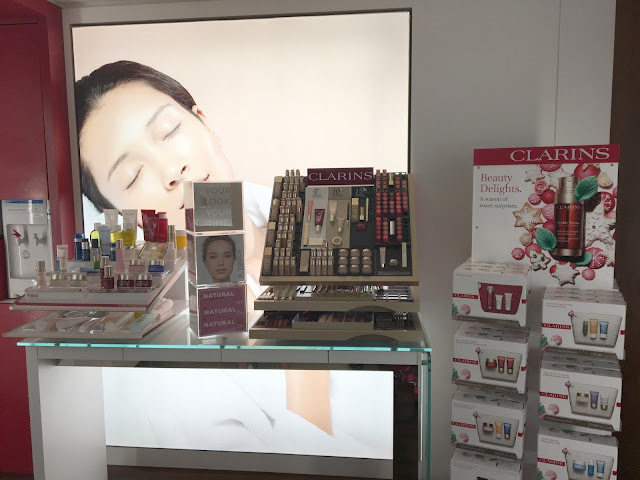 After my facial, Sam went through the products she had used, in detail. I ended up going back less than a week later and getting myself the Hydra Quench gift set (with the face cream, and the serum she had used in the treatment), Pure Melt Cleansing Gel, Extra Comfort Toner, and Gentle Refiner exfoliator. 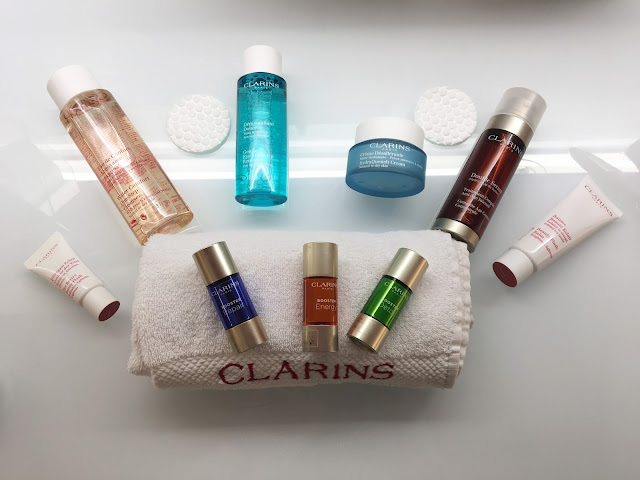 I'm not going to give you a full review until I've used everything for a full month, but let's just say it's like a little taste of the Skin Spa every day, and my skin has never looked better! I'm absolutely besotted! The Christmas gift sets are fabulous value, with a large portion of them coming with at least one full sized product, several travel-sized products from the same range, AND a travel case! If skincare sets aren't your jam for gift-giving, then Clarins also offer treatment vouchers. They're a good way get on your Mum's good side for Christmas! I just want to say a big thank you to Clarins for holding such a fab event. 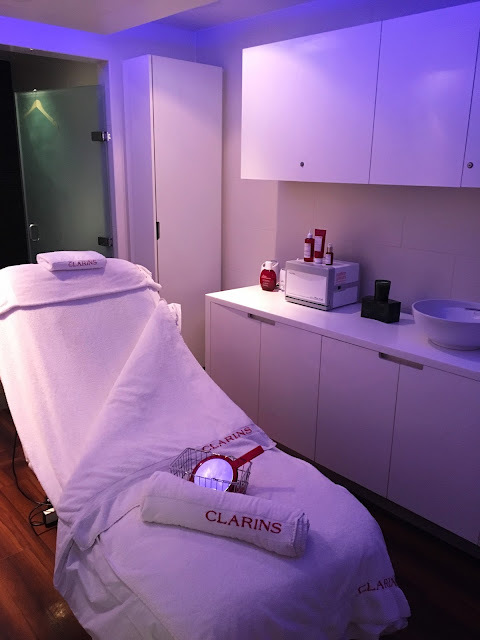 As a result, I went back at the end of November for another facial treatment with the lovely Lisa, and I'm definitely booking myself in again for another in January! 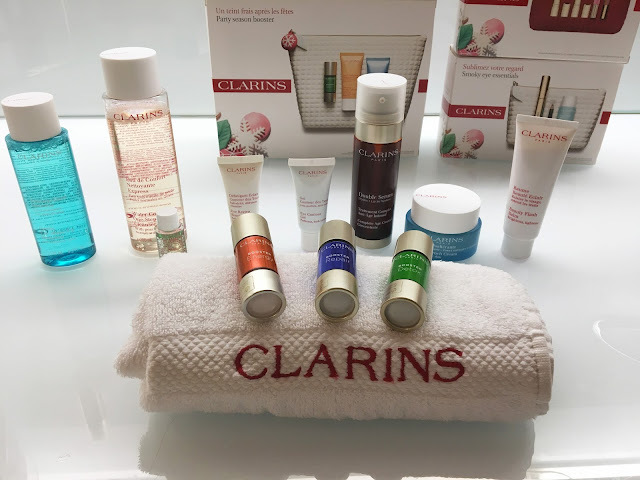 Here's to being a Clarins Convert! 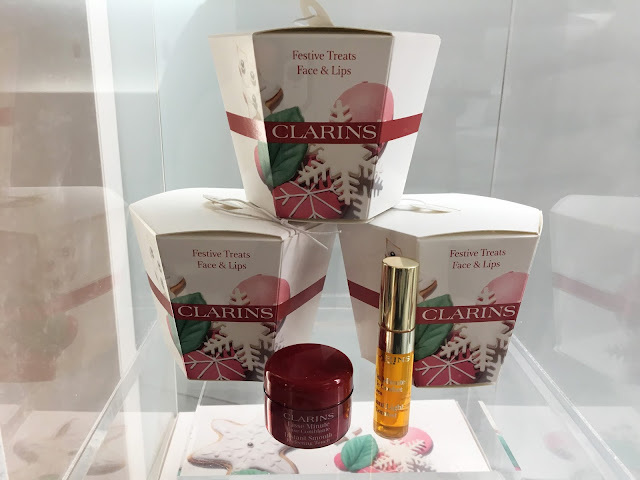 If you liked this, you'll love Quenching My Skin's Thirst with Clarins.